I had the great fortune over the last few weeks of requiring the use of a car more often than usual. What I find amusing about this is coming to the realization that I do not own the car. 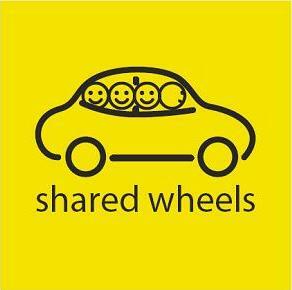 I know that may seem like one of the most ridiculous realizations to have several months after selling my own car and starting to use a carshare — yes, an emphasis is on the share. However, it did not fully set home until I found myself annoyed with another driver who is obviously much taller than me and seems to use the carshare as much as I do. Over the weekend I got into the car and for the millionth time I could not reach the pedals. I thought “some people are so rude moving my seat around all the time.” Granted, I was having a bit of a bad day and already annoyed with the world. Luckily, I came to my senses rather quickly after having that thought flit through my brain. It’s not my car. That’s the whole point. My final realization was much more amusing. “I don’t push the seat back when I’m done driving.” Sorry, tall driver. I will try to remember to scoot the seat back just a little next time. And, by the way, you left your flip flops in the back.